Pours hazy light red with nice pinkish head of foam. Smells kinda funky, fruit tartness. I get raspberries and apricot, woody notes. Taste is easier to discern. 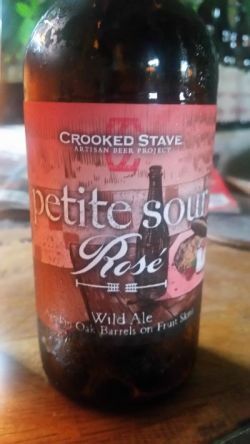 Raspberry tartness, green apple, acetic sour, light Brett, mild oak. Very lively carbonation. Lots going on here at 5 % abv!